From the Kirche Neuweier trailhead at the church in Neuweier you can reach two of the nicest vantage points in the area, Schartenberg and Yburg, both involving a steep ascent to reach the top. 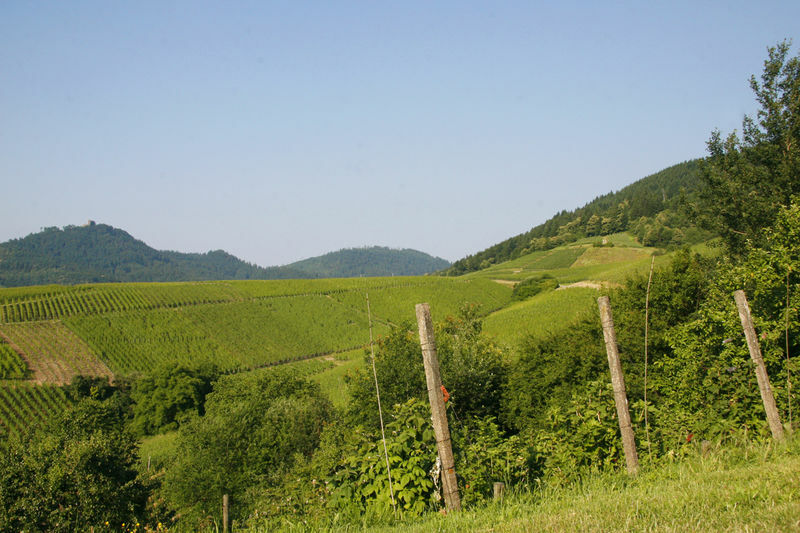 A less strenuous path is the circular route around Neuweier, which leads you all the way around the wine-growing village without ever straying too far from it. This walk also has lots of wonderful views along the way. Another memorable feature of this walk are the terraced slopes which the route passes though, in particular the section on Mauerberg with its dry-stone walls, as you climb the steep and narrow path. This is a remarkable testimony to the efforts to which people went to establish and maintain winegrowing here. The path through the terraces on Mauerberg should only be taken if you are sure-of-foot and not afraid of heights. Yburg-Rundweg circular route: 7 km, total ascent 320 m, steep ascent and descent on narrow and stony paths. Schartenberg-Rundweg circular route: 6 km, total ascent 320 m, steep ascent on narrow and stony paths. Rund um Neiweier, circular route around Neuweier: 7 km, total ascent 200 m, easy. Section at Mauerberg only suitable for those who are sure-of-foot and not afraid of heights. Do not use this section in wet weather. 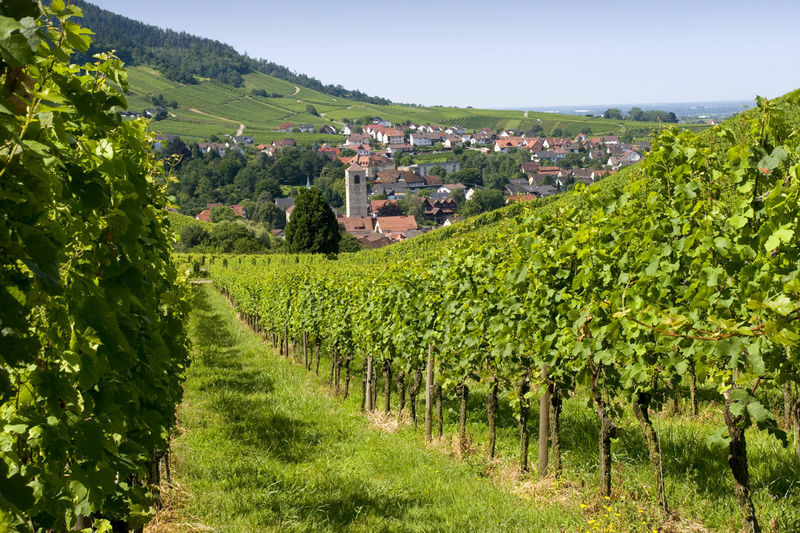 The Ortenau Wine Trail (Ortenauer Weinpfad) is a long-distance trail starting in Gernsbach and taking in Baden-Baden, Oberkirch, Offenburg and Gengenbach before reaching its end point, Diersburg. From Neuweier it takes you to Baden-Baden heading north. If you head south, it takes you via Varnhalt, Neuweier and Bühlertal to Neusatz. 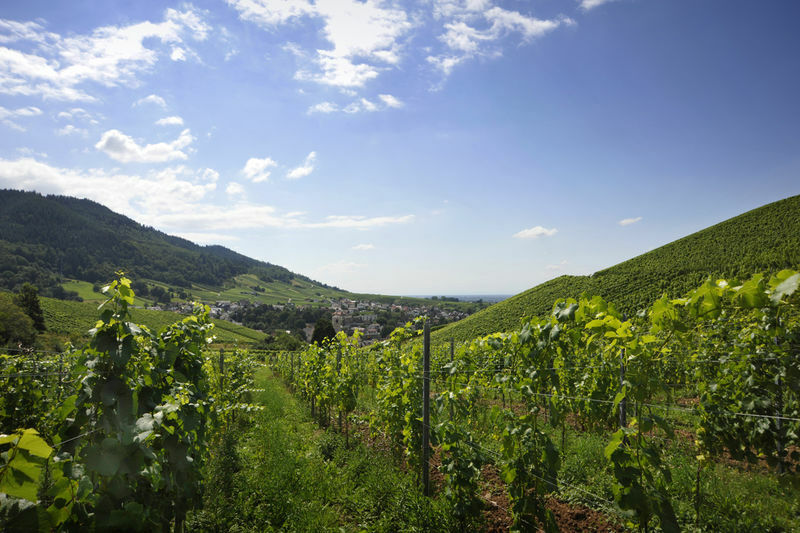 If individual sections are too short, they can be extended by using some of the vineyard loop walks – “Weinschliefen” - due for launch in 2019.